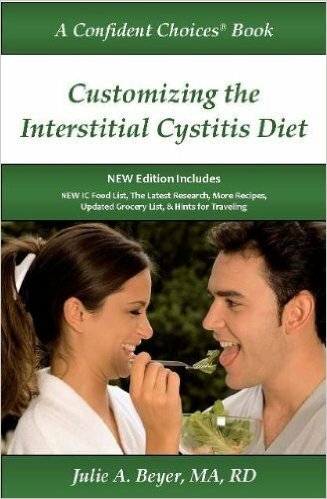 Over 92% of interstitial cystitis patients say diet makes a difference in their symptoms. Take control and discover your personal trigger foods by following a plan developed using the latest research as well as patient and clinician experience. 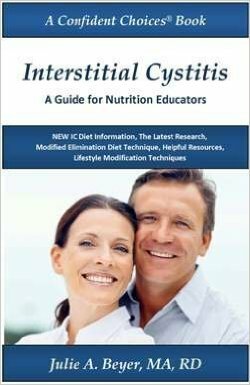 We have curated the best books, cookbooks, DVDs, and CDs about interstitial cystitis, bladder pain, and overactive bladder. Learn more about symptoms, diagnosis, treatments, how diet can help, and the various lifestyle changes you can make to take control of your condition. Sometimes it just helps to talk to someone who understands what you are going through. Although most people can figure out their own triggers, individual nutrition and lifestyle counseling can help you identify some of the trickier triggers that affect bladder patients. These free worksheets and inexpensive recipe collections can help you sort out your personal trigger foods and teach you how to create meal plans that don't compromise your nutritional status. Treating IC/PBS involves individual trial and error. Many patients combine nutrition and/or herbal supplements, lifestyle changes, and dietary modification with other medical therapies. Learn more about the various supplements used by people with interstitial cystitis/painful bladder syndrome. Learn more about products that can ease the discomfort of IC/PBS. Find items that will make traveling easier and sitting at a desk more comfortable. You will also find links to articles that can help you fight flares and form a treatment action plan. Visit our award winning blog covering everything IC. 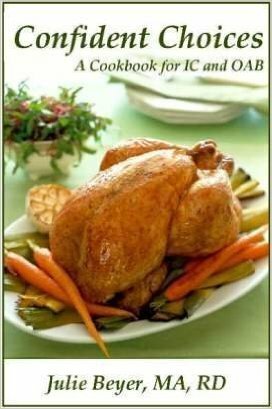 Read more about bladder friendly food including recipes and meal planning hints. Follow current trends in treatment and stay up-to-date with research. 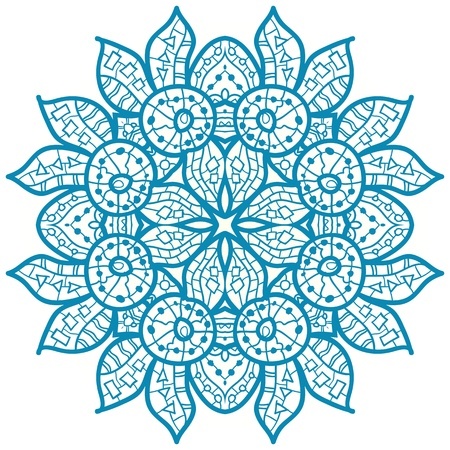 Learn about stress management techniques and hear from other experts in the interstitial cystitis community. When searching for answers about a puzzling condition like IC, you want to consult the best. Julie combines her personal experience with IC and professional skills as a nutritionist with her message of hope, health, and healing, establishing her as a person of influence in the IC community.